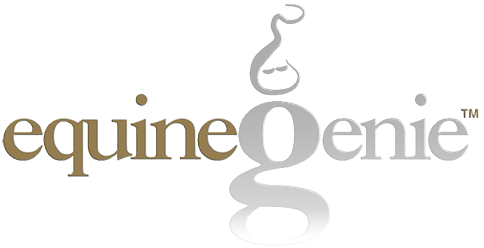 GenieCo, Inc. ships all equineGenie products throughout the 48 contiguous United States. $24.95 Shipping and Handling plus any Saturday delivery charges. Shipping times are subject to product availability. Our shipper requires a street address phone number and email address. We do ship to P.O. Boxes. If a P.O. Box delivery is required, the product will be shipped USPS. The customer will be billed any additional charges when their product ships. Orders placed on a business day will be shipped within the next ten (10) business day after all funds are available to GenieCo, Inc. The customer will be notified if there is any additional delay due to payment problems, material shortages or software revision release timing. We accept orders from all international locations. We consider orders from Puerto Rico to be an international shipment. The standard shipping and handling charge applies, plus any additional shipping and custom charges. The customer can request FedEx International Economy or FedEx International Priority as their shipping method. The customer will be billed any additional charges and product duties taxes hen their product ships. We recommend downloading all international orders as the preferred delivery method. If an international order is downloaded the standard $24.95 Shipping and Handling still applies. GenieCo, Inc. has the discretion to occasionally update this Shipping Policy Statement. When we do, we will also revise the “updated” date at the bottom of this Shipping Policy page.